You were washing your towels incorrectly all your life! All about to change now! We use towels every day and they can serve you longer if you treat them properly. These care tips how to wash towels should be in your laundry bible! First off, how often do you need to wash your towels? Every time you dry your body with a towel, you brush off dead skin cells which collect in the fibres of your towel and breed germs in the moisture. Gross, right?! Well, ideally you should wash them once a week, or after every 3-5 uses. The best way to wash towels is at a high temperature (at least 60 degrees). Wash your white towels separately from towels of other colours to prevent any discolouration or colour bleed. You can also use bleach or other laundry products specifically suited to cleaning white items, but always remember to check the care label before washing. 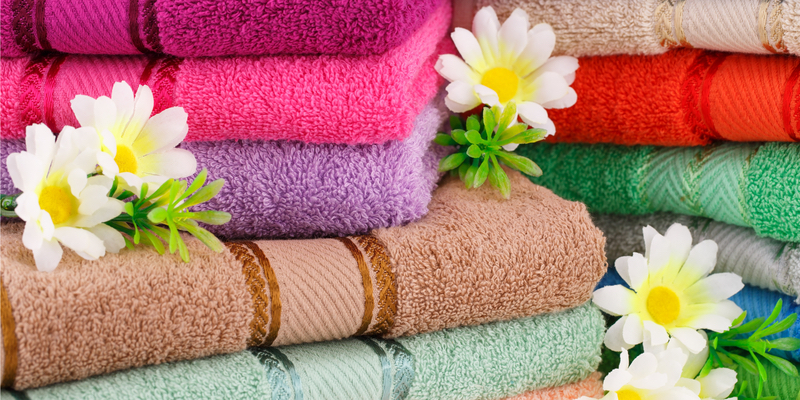 You can use a fabric conditioner to help make your towels soft and fluffy. Always remove towels from the machine as soon as the cycle has finished and tumble dry them on a high heat for that extra softness. If you don’t have a tumble dryer, hang them outside to dry in the sun. We’d also recommend alternating between the two (tumble drying for 20 minutes before hanging on a clothesline) to help protect the fibres of your towel and to achieve the best results. Note that even the softest towels are made from a much sturdier material than normal clothes, so it is advised to wash towels separately or with heavy items like jeans or trousers, to prevent damage to the fibres of more delicate clothing items. Once your towels are dried, store them with a pillow of dried lavender or other perfumed herbs stashed inbetween to give them a scent which will make you fall in love with your towels again and again! 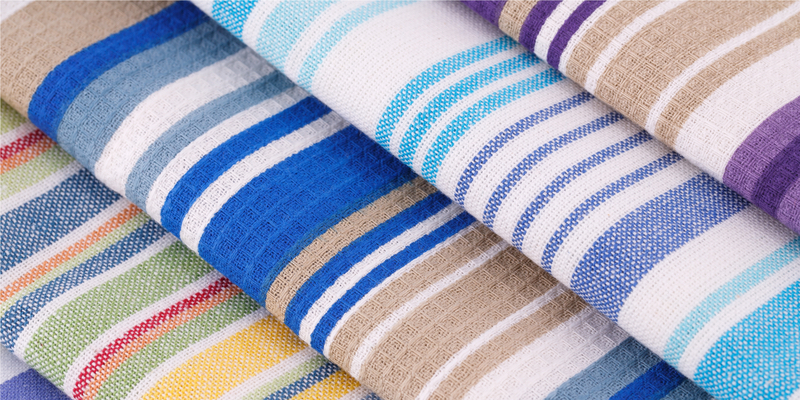 The study from the University of Arizona found bacteria in 89 per cent and E. coli in 25.6 per cent of kitchen towels! Yes, you heard this right! To maintain the highest hygiene standards possible throughout your kitchen, you should really wash tea towels after every use or, at the very least, at the end of each day. So, stop spreading germs every time you wash the dishes now! Tea towels can be washed in the washing machine without worry – always opt for a detergent that is focused on removing stains and will remove any small marks or discolouration, leaving your tea towels looking like new. For heavier stains, don’t be afraid to pre-treat them with a stain remover first. Line drying is the preferred method of drying dish towels, as there is the risk that a tumble dryer could break down the fibres, or melt any stitching or glues holding patterns together. Who doesn’t look forward to summer and the beach?! Take care of your fluffy buddies and they’ll serve you for many summers on beaches and by the pool to come. First, you’d want to avoid getting sand in your washing machine to prevent it from breaking down. Ensure to give your towel a good, hard shake before you pack it away and leave the beach, and once home, we’d recommend to vacuum it to pick up any sand that’s deeply embedded. As an ultimate trick, fill a basin with warm, mildly soapy water and swirl your towel around in this. Any sand in the material should come out and drift to the bottom of the basin. 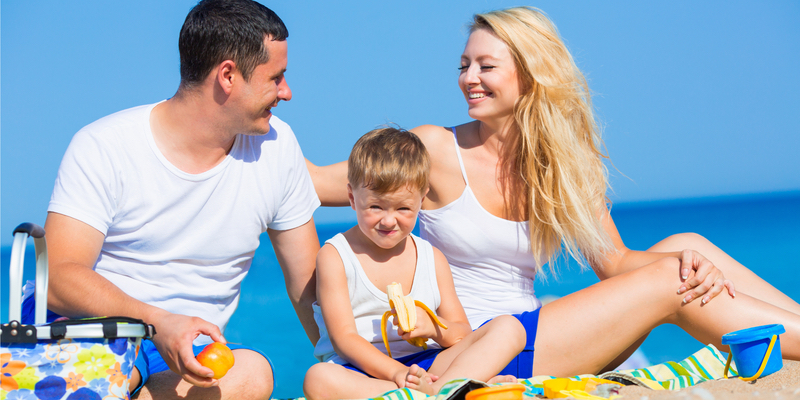 Other than sand, your towel can have spillage of food and drinks, sun cream, mud, etc. Just don’t forget that stains are always easier to remove when fresh, so it’s best if you pre-treat the stain with a stain remover or a liquid laundry detergent. Rub with water and repeat until the stain is gone. If the stain has dried in, or is particularly stubborn, soak your towel in soapy water for 15-30 minutes, and then launder your towel as normal. 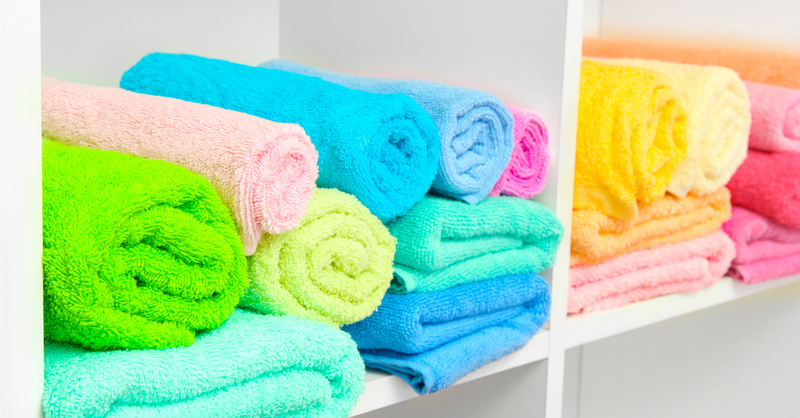 Most cotton-based towels are easy to care for and can be machine-washed (at 40-60 degrees) with a cold rinse after. However, if the towel is not 100% cotton or made using another material, make sure to check the care label, as this can vary. Also, don’t forget about colour separation. You can tumble dry beach towels for maximum fluffiness. However, we’d recommend to air dry them, as this is a more economical and eco-friendly method. Avoid drying them in direct sunlight as this can fade colours (unless they are white). You may wish to shake them out before you hang them to fluff them up. There are many sources on the internet on how to wash towels, including this piece. Last but not least – you can always get your towels professionally cleaned by Laundrapp!